Grow Your Own Food, Improve Your Health and Live More Sustainable. More hot weather and thunderstorm seem to not bother the garden. 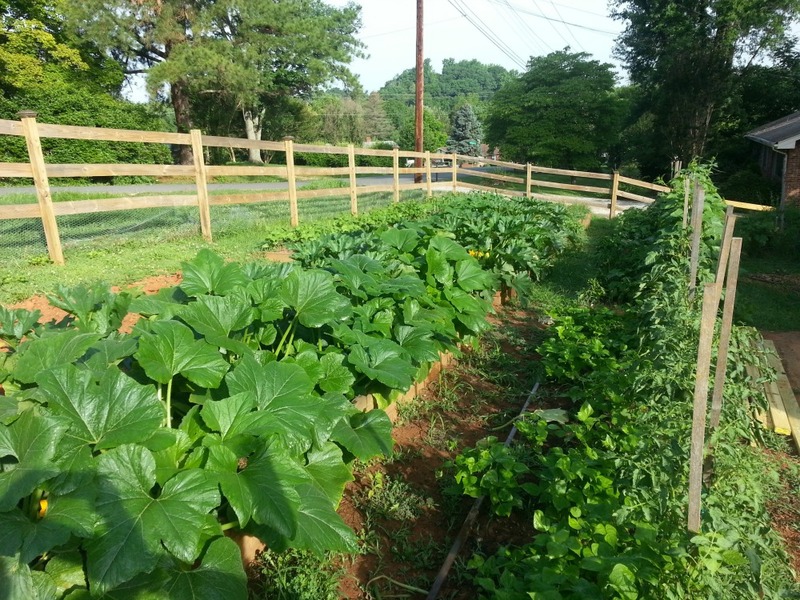 Two raised boxes of Summer Squash & Zucchini in the middle row… Garden Beans and Heirloom Tomatoes in the bottom beds. 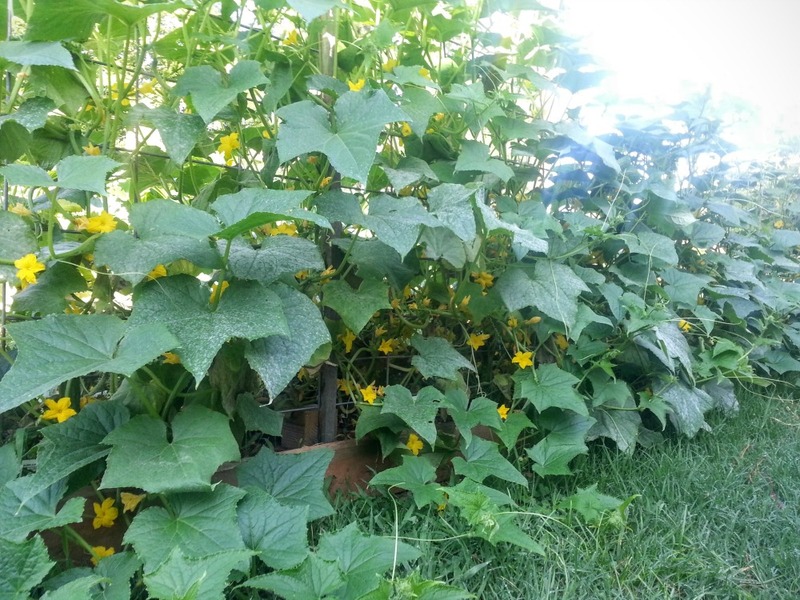 Lots of flowers on the Cucumbers. White powdery mold from the lack of air circulation. Next year, we may have to give them more spacing?